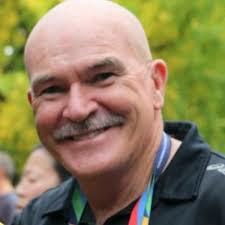 Robert de Castella is Australia’s greatest ever marathon runner. He set the world record in 1981, became Australia’s first Track and Field World Champion in 1983, won two Commonwealth Games marathons in 1982 and 1986 and dominated the event worldwide for most of the 1980’s. While he represented Australia at four Olympic Games, finishing 5th, 8th, 10th and 26th, Robert is probably best remembered for the Brisbane Commonwealth Games when he came from over a minute back to catch, duel and eventually run away from Tanzanian champion JumaIkanga. Robert’s dominance resulted in him being voted “World Best Marathoner” of the 1980’s decade. In 1983, he was voted Australian of the Year and honoured with an MBE. In 1986 he was inducted into the Australian Sporting Hall of Fame and in 1990 he was named “World Marathon Runner of the Decade” by Track and Field News. As Director of the Australian Institute of Sport (AIS) for five years in the early 1990s, Robert repositioned the AIS as a centre of excellence after the drugs in sport debacle of the late 80’s. He was also involved in establishing the elite sports system being used today by our Olympic athletes and teams. In 1995 Robert established his own company, SmartStart for Kids! SmartStart works through schools to encourage children to be healthy and active. It especially targets escalating obesity, poor nutrition and inactivity and has resulted in large improvements in child fitness and health. The Smartstart longitudinal database of children’s health and fitness statistics has enabled valuable reports to be generated and a range of follow up services for students, parents, schools and government. In 2004 SmartStart launched its adults and corporate health service, SmartStartfor Life!. SmartStart has worked in the corporate sector and mining industry to profile and report on organisational and individual health and fitness and implement programs to address and monitor identified physical health fitness and medical issues. In January 2003, having lost his family home and belongings in the infamous Canberra bushfires, Robert became heavily involved in the Government’s recovery programs, working with Sandy Hollway and the ACT Task Force to plan and implement the process of healing and rebuilding. He worked with the ACT Government to design and build a purpose built 2.5 kilometre grass cross country running circuit on the slopes of Mount Stromlo now named, the de Castella Cross Country Circuit. Robert was acknowledged as a “pillar of strength” for his family and the community. In 2005, Rob launched a new gourmet bakery and café, Deeks, a health-focused bakery that specialises in quality grain and gluten free breads, cakes, pasta, pies and deserts. He now has two bakeries, and a rapidly growing wholesale business.